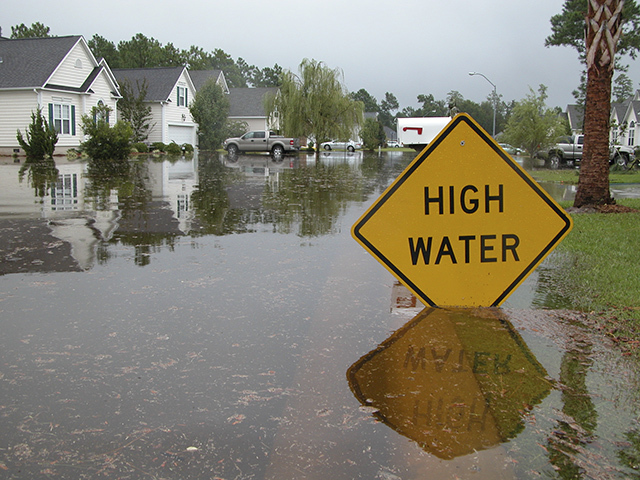 DOVER – The DNREC Division of Watershed Stewardship’s Flood Management Program reminds residents of New Castle County that preliminary Flood Insurance Rate Maps (FIRMs) for portions of New Castle County released in December 2016 and revised in May 2018 by the Federal Emergency Management Agency (FEMA) will begin a 90-day regulatory appeal period Friday, Dec. 14 through Wednesday, March 13, 2019. To see if your property is located in one of the areas with preliminary FIRMs, please review DNREC’s website at www.de.gov/floodplanning. Anyone who believes that the preliminary maps may contain errors can submit an appeal to their community floodplain administrator. The floodplain administrator will review and consolidate all appeals before forwarding them to FEMA. Once FEMA has reviewed appeals and made a determination on their validity, the agency will issue a Letter of Final Determination to community representatives, and the floodplain administrator. The preliminary maps will become effective six months after the Letter of Final Determination. FEMA’s National Flood Insurance Program makes flood insurance available to local property owners. Mortgage lenders require borrowers whose properties are located in a designated special flood hazard area to purchase flood insurance as a condition of receiving a federally backed mortgage loan in accordance with the Federal Disaster Protection Act of 1973. FEMA’s flood risk maps are used by insurance companies to establish insurance rates and by local communities to enforce local floodplain codes. For more information on the flood risk maps, please contact Michael Powell, Division of Watershed Stewardship, at 302-739-9921. For information on DNREC’s flood mitigation program, please visit DNREC’s website at http://www.dnrec.delaware.gov/swc/Drainage/Pages/Flooding.aspx. Contact: Joanna Wilson or Michael Globetti, DNREC Public Affairs, 302-739-9902.